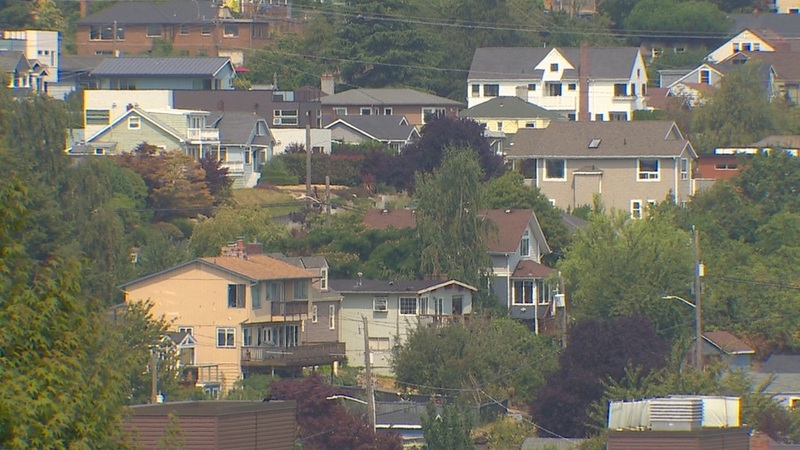 Average home prices in the Seattle area have skyrocketed by nearly 100 percent in the six-year period after the post-recession housing market hit bottom in 2012, says a new report released Thursday. That was the steepest price hike among the largest 20 cities in the U.S. and well above the national average, according to the study released by the real estate sales and analysis site Trulia.com. The report found that home values in the nation's largest metro areas increased by an average of 53.1 percent from 2012 through 2018. But in the Seattle metro area, home values shot up by 99.6 percent. A major factor fueling the sharp home price increases in Seattle - and other metro areas that have experienced soaring home prices - has been the rate of population increase exceeding the pace of new home construction.